Keelung, Taiwan, 5 October 2011 - Taiwan Group on Earth Observations (TGEO) and The Mongolian National Society of Photogrammetry and Remote Sensing (MNSPRS) today held a signing ceremony of Memorandum of Understanding (MOU) at National Taiwan Ocean University. 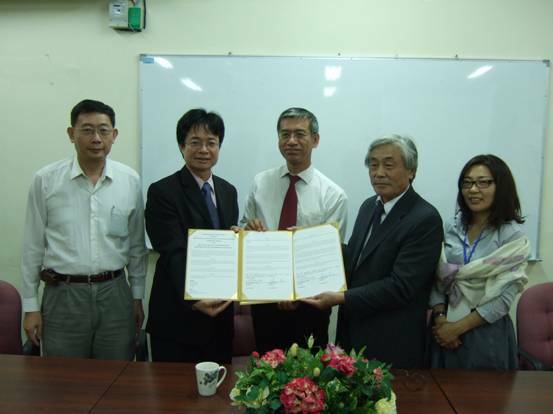 The President of TGEO, Dr. Yuei-An Liou, and the President of MNSPRS, Dr. Mijiddorj Saandar, signed the MOU under the witness of the Vice President of NTOU to facilitate the exchange of scientific and technical personnel and to promote the cooperation in earth observing technologies. 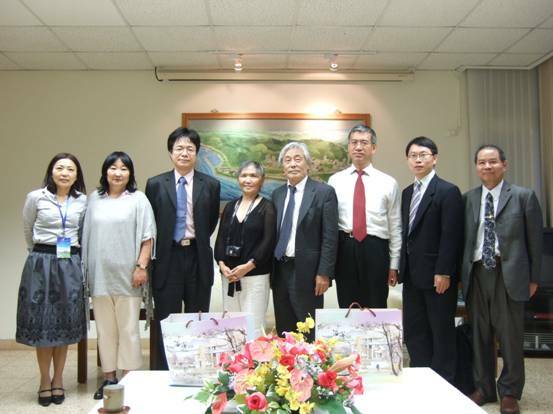 (From left to right) Chairman of Committee of International Affairs of TGEO Dr. Chung-Ru Ho, President of TGEO Dr. Yuei-An Liou, Vice President of NTOU Dr. Chih-Ching Chang, President of MNSPRS Dr. Saandar , Dr. Tsolmon Renchin.